President Donald Trump has come under the hammer of the widow and daughter of John McCain after the U.S President again attacked the former senator and Republican presidential nominee who died in August 2018. McCain’s widow and daughter, on Wednesday, criticised the U.S President for saying he never liked the late Vietnam War hero. Responding, Meghan McCain, the late senator’s daughter, berated the U.S President for taking to a new low to criticise the dead. 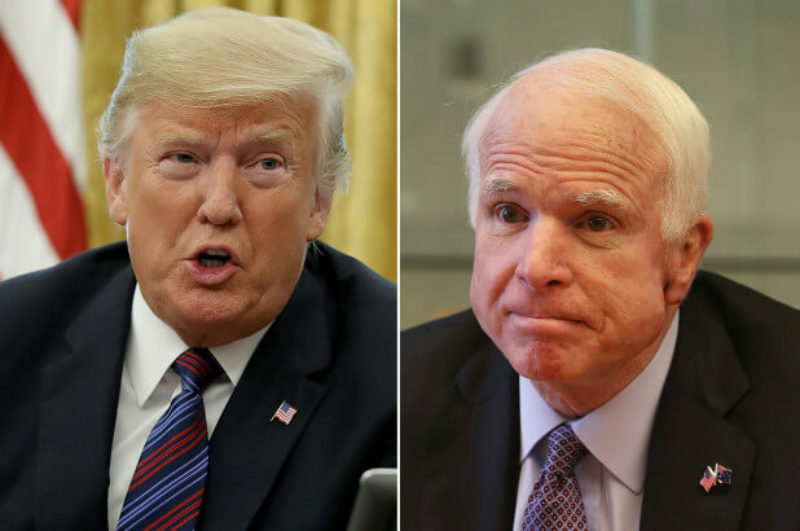 President Trump is known to be a strong critic of McCain. His criticism of the late senator was reignited yesterday, barely six months after the death of the 2008 Republican presidential nominee.